Here is a start to understanding what manufactures say and what it ACTUALLY means. All-Natural: You know what is all-natural? Food that doesn’t come in a box. If it is in a package that needs a label, there is generally a process that happened to get it there. This term was on MANY of the items in my pantry. Officially, all natural means doesn’t contain synthetic or artificial ingredients (flavors, colors, chemical preservatives). 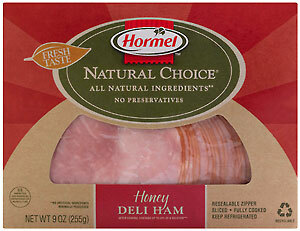 With the exception of USDA-approved meat and poultry, there is no organization to verify this manufacturer’s claim. Real Fruit: This term can actually be used when the amount of fruit in the product is minute, and can even come from the juice concentrate. These products could be all sugar with a teeny tiny amount of actual fruit, or fruit juice. No Sugar Added: Sugar is hidden in many products under different names such as fructose, dextrose, sucralose, barley malt, beet sugar, brown sugar, buttered syrup, cane-juice crystals, cane sugar, caramel, carob syrup, corn syrup, and many more. You will want to look at the grams of sugar to know how much is actually in the product. No MSG: Actually, the law says they don’t have to list any ingredient that is less than .5g of the ingredient. Usually this means they’ll write 0g of Transfat or 0g of MSG.. but they’re still in there. Many ingredients actually produce MSG in our systems. Ingredients such as Nonfat milk solids, Cheese cultures, Enzymes, Maltodextrin, Enzyme modified parmesan cheese, Torula yeast, Natural flavor, Disodium inosinate, Disodium guanylate. Healthy: By whose standards is the product healthy? Even if guidelines were set, it doesn’t mean we have the same ideal for the word that regulators do. A product may have 2 grams of fiber, so the manufacture considers it healthy, although it has 50 grams of sugar. 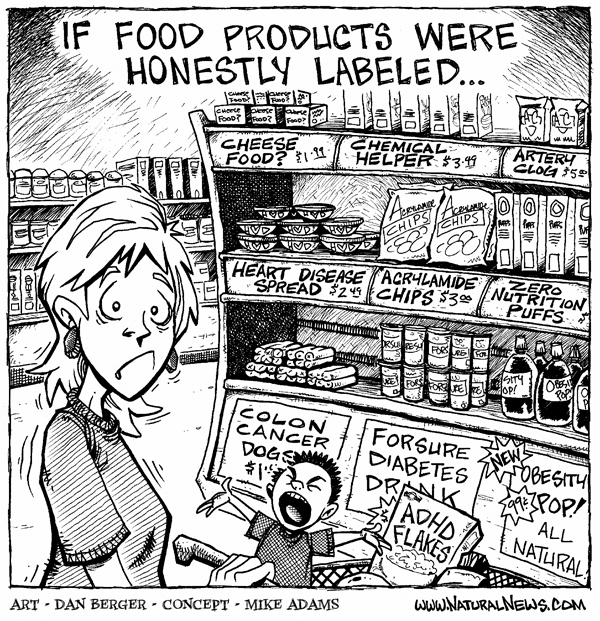 Don’t let a label tell you it’s healthy, you decide. Made with Whole Grains: Manufactures have misused this term horribly! A product with as little as 1% whole grains, is of course, “Made with Whole Grains”. Free-Range: The definition for this term is way too lose for me to take any claims seriously. To be labeled “Free-Range” the animals merely have to have access to be allowed outside. It doesn’t even specify for how long, or under what conditions. 100% Organic: Completely free of antibiotics, hormones, pesticides, bioengineering and chemical fertilizers. But be aware of how these animals may have been raised, treated, processed. You are better off looking for a local farmer who can tell you how their animals were raised and processed. You can find a local farm by searching www.eatwild.com. USDA Organic: At least 95% free of all the above scary-sounding stuff. GM-Free: Free of genetically-modified ingredients.Made with Organic Ingredients. At least 70% virtuous. Free-range: Poultry that has “access” to the outside, per the USDA. No guarantee of lower salmonella rates or that they have freedom to roam. Certified Humane: Raised humanely with ample space, shelter, fresh water and feed with no added hormones or antibiotics from birth through slaughter (that part’s not so humane). Grass-Fed: Pasture-raised and free-roaming rather than fed at high-grain feed lots with higher pesticide and saturated fat rates. Certified organic beef is more often than not grain fed unless specified as grass-fed. Cage-Free: All that the name implies, a better guarantee of healthy conditions than the label free-range. Hormone-Free. Mostly relating to dairy products produced without the synthetic hormone (rBGH), linked by some to health problems. 1. Ingredients are listed in order of their proportion in the product. This means the first 3 ingredients matter far more than anything else. The top 3 ingredients are what you’re primarily eating. 2. If the ingredients list contains long, chemical-sounding words that you can’t pronounce, avoid that item. It likely does contain various toxic chemicals. Why would you want to eat them? Stick with ingredients you recognize. 3. Don’t be fooled by fancy-sounding herbs or other ingredients that appear very far down the list. Some food manufacturer that includes “goji berries” towards the end of the list is probably just using it as a marketing gimmick on the label. The actual amount of goji berries in the product is likely miniscule. 4. Remember that ingredients lists don’t have to list chemical contaminants. Foods can be contaminated with pesticides, solvents, acrylamides, PFOA, perchlorate (rocket fuel) and other toxic chemicals without needing to list them at all. The best way to minimize your ingestion of toxic chemicals is to buy organic, or go with fresh, minimally-processed foods. 5. Look for words like “sprouted” or “raw” to indicate higher-quality natural foods. Sprouted grains and seeds are far healthier than non-sprouted. Raw ingredients are generally healthier than processed or cooked. Whole grains are healthier than “enriched” grains. 7. Don’t be fooled into thinking that brown products are healthier than white products. Brown sugar is a gimmick — it’s just white sugar with brown coloring and flavoring added. Brown eggs are no different than white eggs (except for the fact that their shells appear brown). Brown bread may be no healthier than white bread, either, unless it’s made with whole grains. Don’t be tricked by “brown” foods. These are just gimmicks used by food giants to fool consumers into paying more for manufactured food products. 8. Watch out for deceptively small serving sizes. Food manufacturers use this trick to reduce the number of calories, grams of sugar or grams of fat believed to be in the food by consumers. Many serving sizes are arbitrary and have no basis in reality. 9. 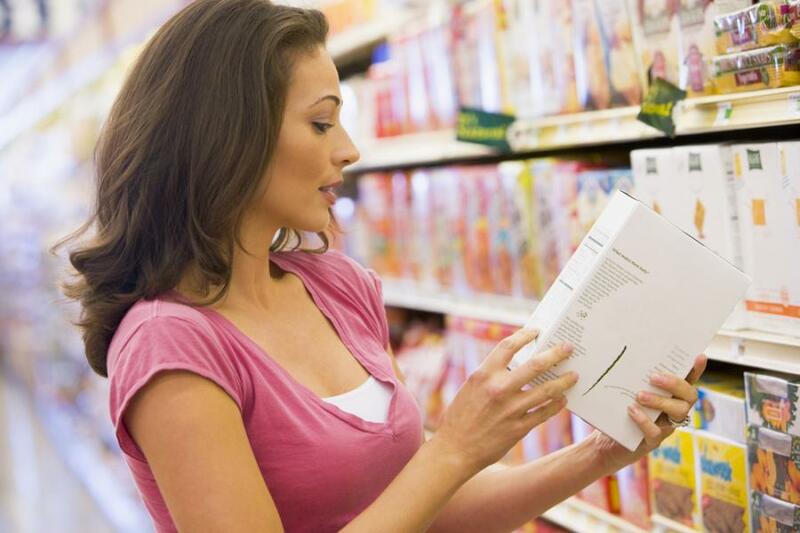 Want to know how to really shop for foods? Download our free Honest Food Guide, the honest reference to foods that has now been downloaded by over 800,000 people. It’s a replacement for the USDA’s highly corrupt and manipulated Food Guide Pyramid, which is little more than a marketing document for the dairy industry and big food corporations. 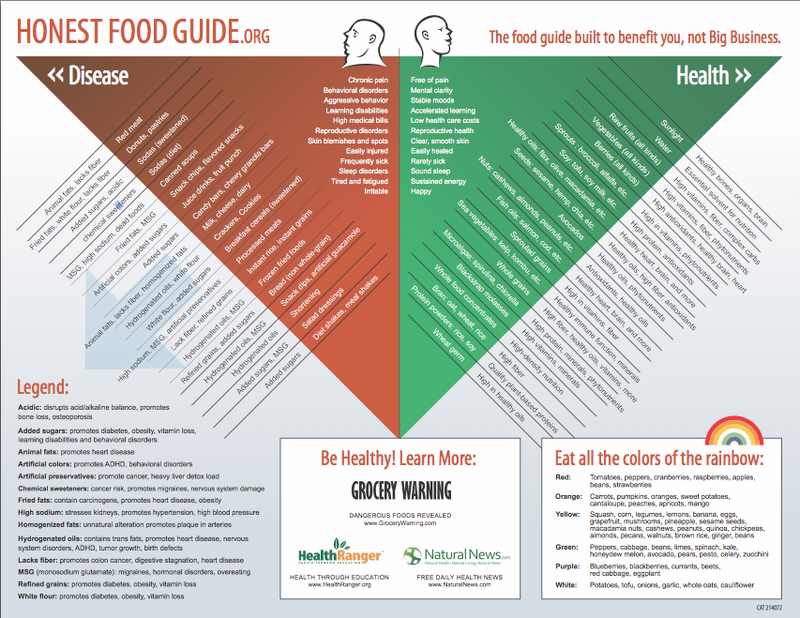 The Honest Food Guide is an independent, nutritionally-sound reference document that reveals exactly what to eat (and what to avoid) to maximize your health. Thanks Brooke. This is so helpful.